As he addressed a conference on religion, morality and the law in Stellenbosch last week, Chief Justice Mogoeng Mogoeng must have thought he was on pretty okay ground. After all, government and the churches have without fuss been formally working together to promote a “moral renewal” in society, and anyway he was talking into a country that is overwhelmingly religious, and Christian at that. Boy, was he wrong. Had he stuck to saying courts should be guided by race ideology, as the NDP insists, he would have been fine. But the Ten Commandments! What a madman. By suggesting, in a rather nuanced and measured (if sometimes problematic) speech that religious precepts should play a greater role in promoting morality and in our law, he invoked the wrath of a virulently anti-clerical elite. Even as he hedged his points in calls for tolerance, Mogoeng was calling down their extreme interpretation of separating church and state. It is a position so silly it would astound the thinkers of the Enlightenment, and has been couched in defamatory insult and shallow unreasoning from the bullying pulpits of a secular sort. Yet to demand that our religious precepts shouldn’t shape society is a nonsense, and South Africans have always known that. So, despite an hysterical editorial in the country’s Sunday “Paper for the People”, the constitution nowhere mentions a separation of church of state (although it asks God for protection seven times). That should be no surprise given that 86% of people here counted themselves in the 2001 census (the last to ask) as religious and overwhelmingly Christian. A proportion that high is more than definitive, whether Israel or Saudi or Moz or here, and always so when on a matter of belief in life’s very purpose and values. No true democrat or even vaguely humanist respecter of the genuinely-held beliefs of most South Africans would want to deny their foundational views as a basis of legal theory. The constitution was written by those South Africans, after all. But that doesn’t make this SA an intolerant theocracy and so religion is a choice. Choosing for church has been consistently overwhelming here, and uniquely cuts right across SA’s other fragmentary identities. Indeed, it is SA’s main unifier. Still, these believers don’t impose their story on the small minority that chooses otherwise, nor rant at them, nor threaten, nor even dream of doing so. But the often unthinking and extreme secularist attack on Mogoeng’s thoughts (which are mostly of the obvious, none to frighten the children, and anyway comfortably familiar to South Africans) has quickly degenerated into a grim and scary bigotry against religion itself and against the 86%, a contemptuous disregard for genuinely-held beliefs. The attack is camouflaged as the opposite – as a defence against Christians imposing some sort of SA-Sharia-of-the-Cross, but no such thing is threatened or possible. The shrill insistence for an extreme “separation of church and state” really means “separation of national identity from national law”. It is a call for our societal rules of operation to be truly “volksvreemd”. Some commentary in this case has been almost beyond belief in its vitriol at Justice Mogoeng and, never far from the surface, at churches and their South African followers (“witchcraft”, “magic”, “screwball”, embarrassing”, “a national disgrace”, “hypocrites”, “ominous”), and it comes with a lazy assumption that the beliefs of most people are deeply stupid. It is in such a lynching of discussion, and not in the role of religion, that we find today’s real intolerance. We are witness to a mainly media mob that claims an old, never far away, baaskap of defining society. It comes with the usual demand of such self-confidence – a Divine Right to impose a single truth on everybody else. That requires an intellectually amazing insistence that a whole country must regard as a skeleton in its closet the only thing that unites its people coast to coast. Such debate is poisonous, but hardly ever on all sides. The darkest corners of anti-religious incivility are found in a well-off, secure, worldly, “liberal” top class. Theirs is a mean-spirited knee-jerk dismissal of the common sense of most people. It is wrong in form, and in fact. Pereira is with WHAM! 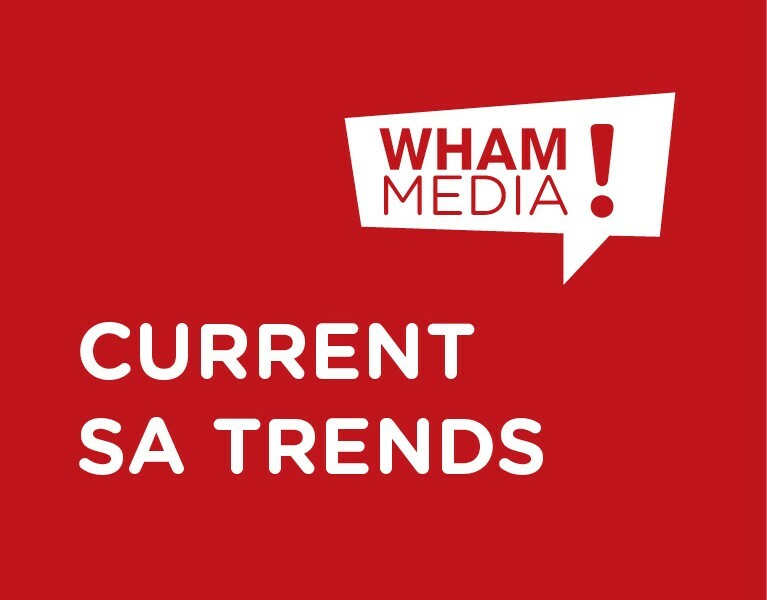 Media (www.whammedia.co.za). Published in Business Day, 5 June 2014.